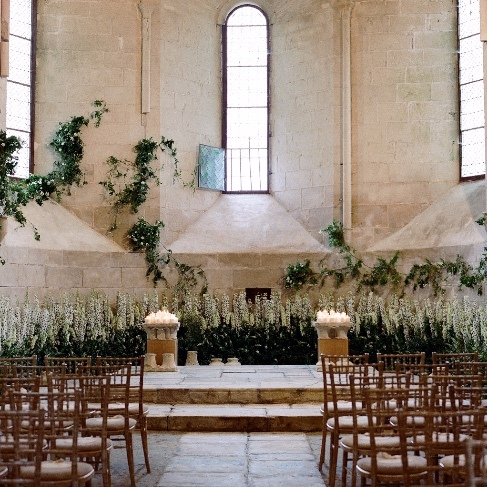 Talk about a romantic backdrop for a wedding ceremony! 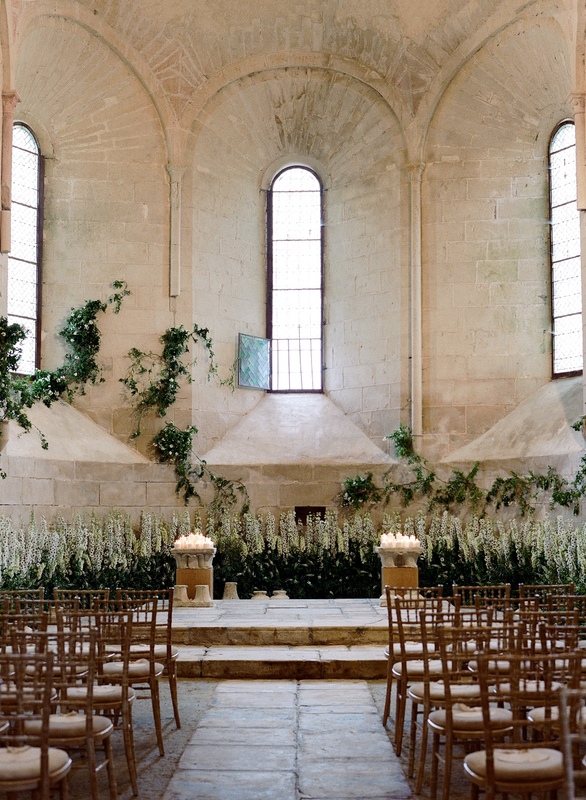 This medieval chapel was both intimate yet grand for a destination wedding in Burgundy, France. We decorated with masses of flowers all around the altar and greenery climbing up the walls as if it has just been growing there all by itself - oh, and of course, lots of candles!